Charting, in a technical sense, is the process of mapping objects in high dimensional space to lower dimensional subspace, something which we have previously discussed using the FastMap algorithm. 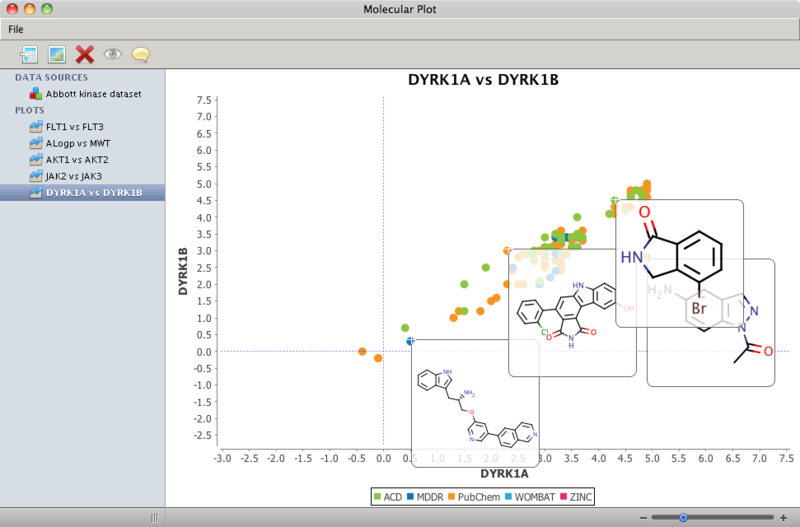 In this post, we consider a more literal interpretation of "charting," namely, that of simply visualizing molecular data on an X-Y plot. While there are numerous plotting packages available, only a few actually understand chemical structures. Such a tool can be quite useful in elucidating structure activity/property relationships. 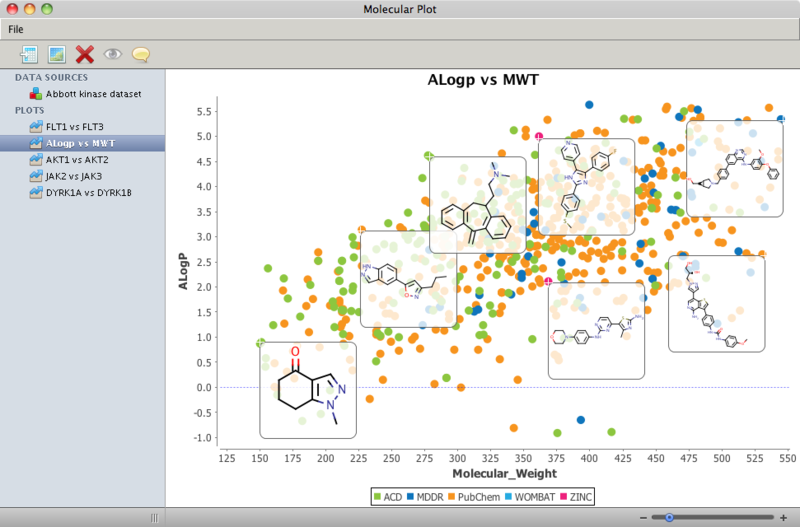 MolPlot is a tool that we recently develop for "charting" chemical structures. Its only requirement is where to extract the coordinates, which in turn can be any numerical data (e.g., principal axes from principal component analysis, biological readouts, etc.). 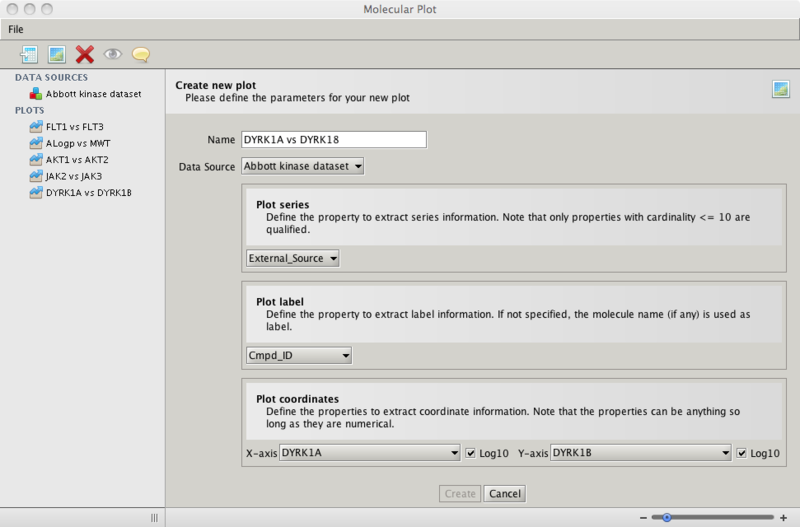 The tool comes bundled with a kinase panel dataset, so feel free to take it out for a spin. We'd love to get feedback on how to further improve it.